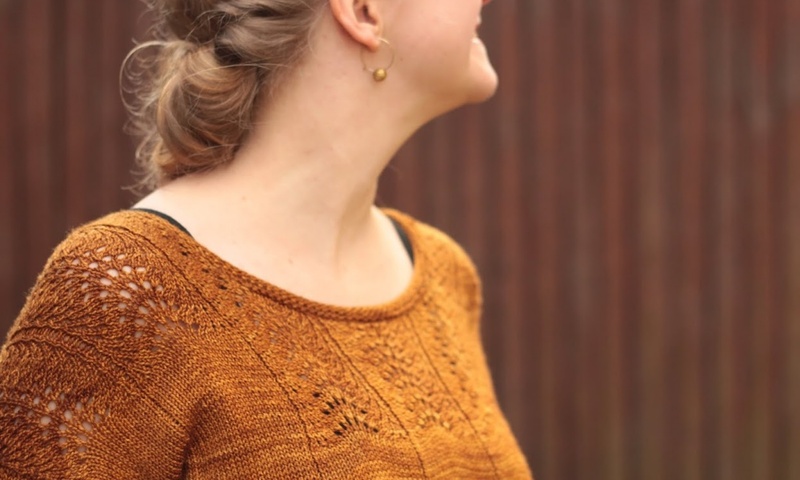 A short while ago, there was a sale at a yarn shop that was going out of business. 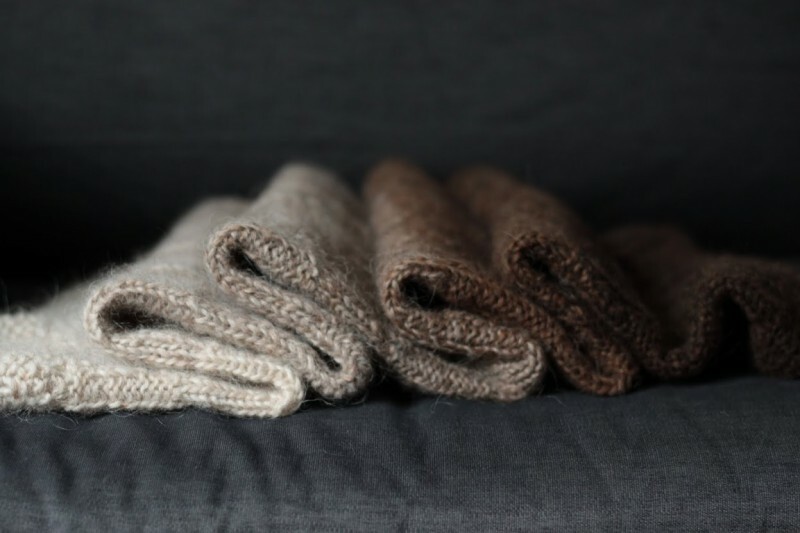 They had a lot of yarns which I would not usually go for – rustic wools and Icelandic yarns, which I would usually find too scratchy. I spotted a gradient, and straight away knew what it wanted to become. 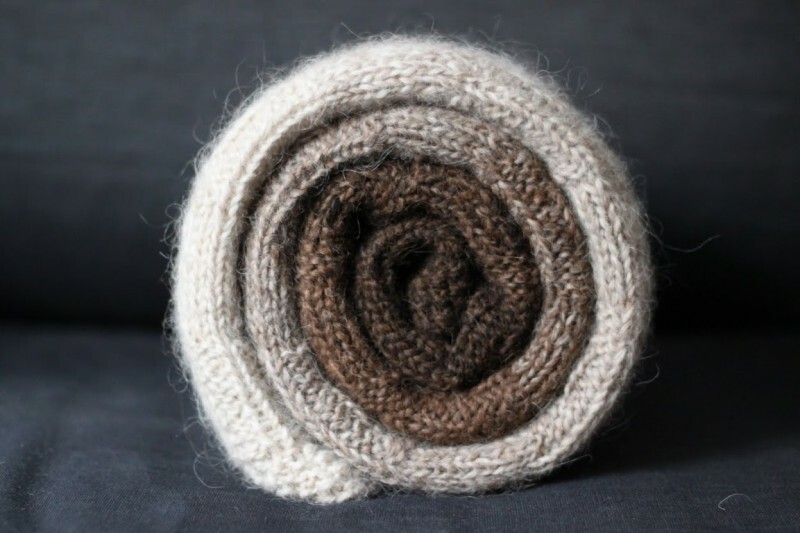 Plates Blanket is a blanket worked with two strands of Plötulopi, creating a subtle gradient. 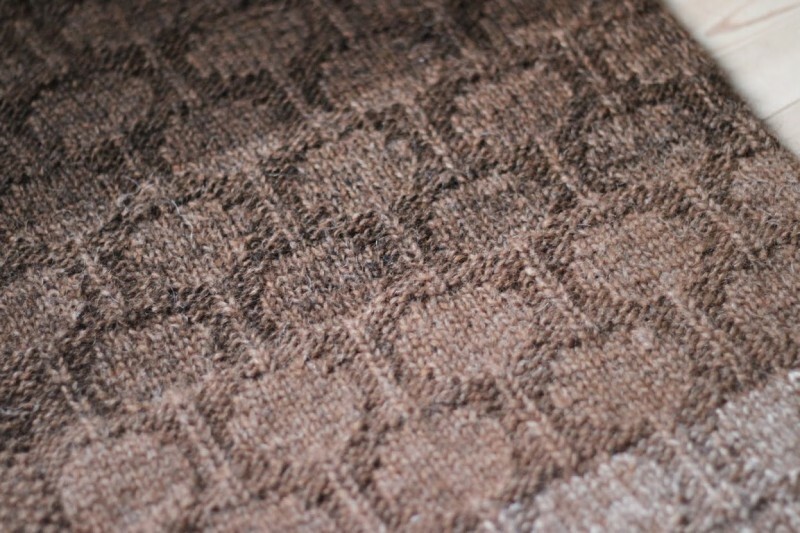 The knitting is kept interesting by the textured stitch pattern, and as two strands of yarn are used combined throughout, it knits up very quickly! 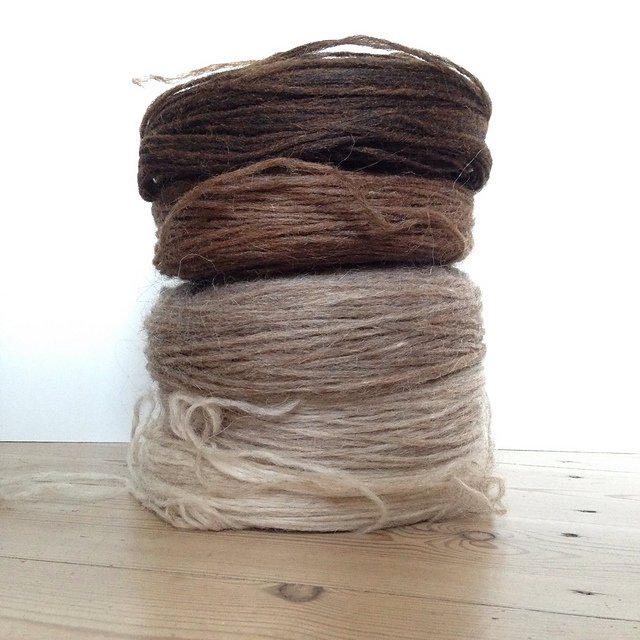 Use 5 skeins of Plötulopi or a sport weight yarn (approximately 300 m / 100g), holding two strands together. 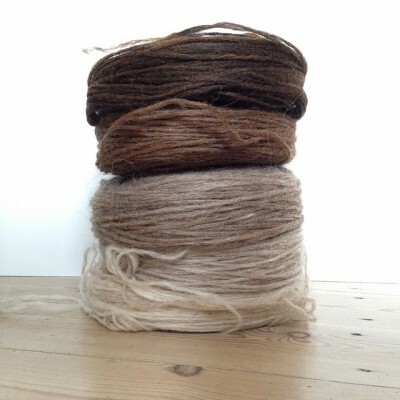 Or use 800 meters of a Aran weight yarn, just one strand at a time. 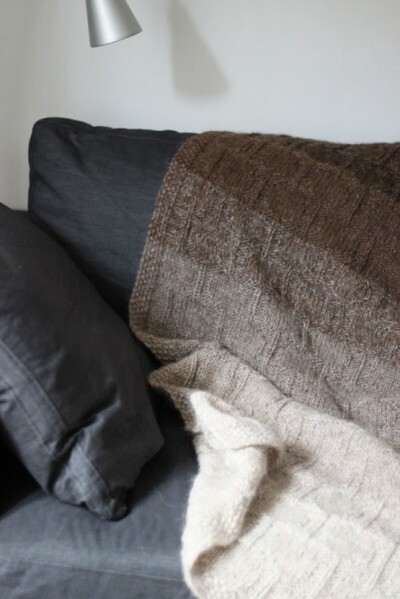 Make a simple textured blanket using just one color, or make striped sections, or create a gradient like I did. The possibilities are endless!